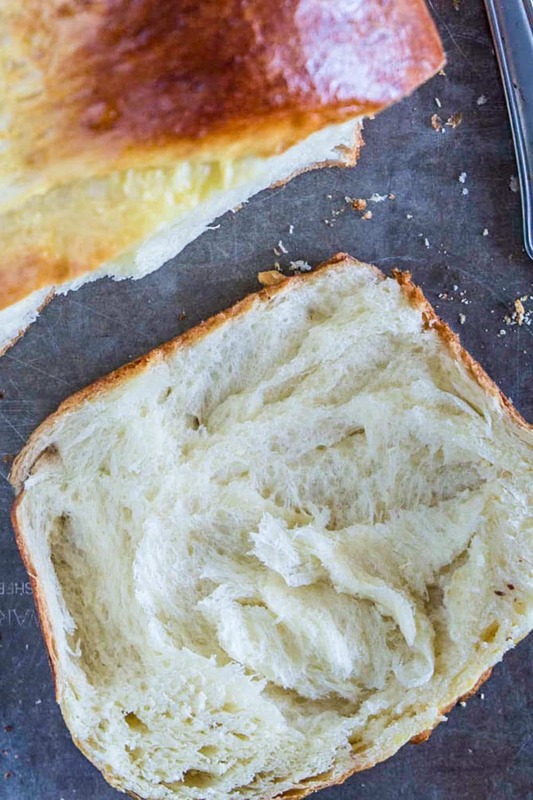 This brioche bread recipe is so fluffy it practically melts in your mouth. Serve it warm or toasted with salted butter. 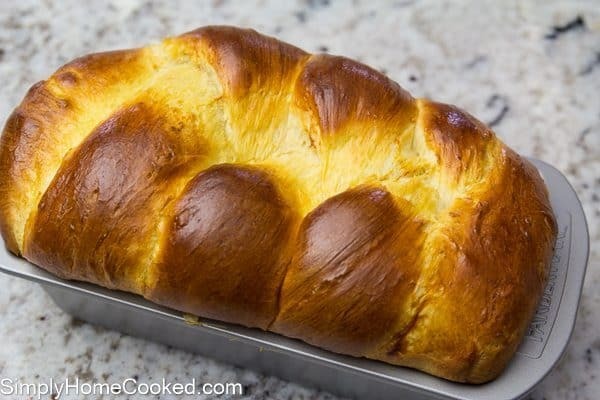 You will never want to try any other brioche bread recipe after this one! 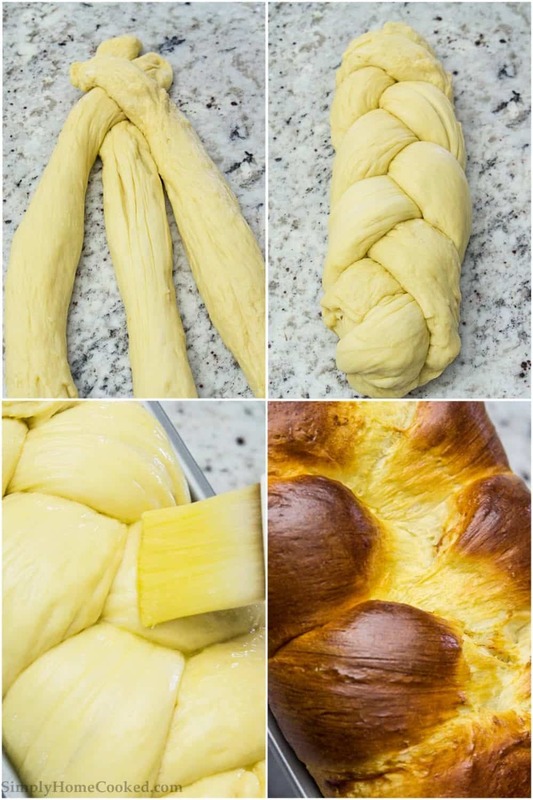 If you love brioche, then you must try our Nutella brioche braid and homemade brioche bun recipe! This post has affiliate links for tools that helped make this recipe. Brioche is a French origin bread made with flour, yeast, and a high egg and butter content. The high butter content is what gives brioche that fluffy and tender crumb. Add milk, sugar, and yeast into a bowl or large measuring cup. Then let the mixture sit in a warm place for about 20 minutes. 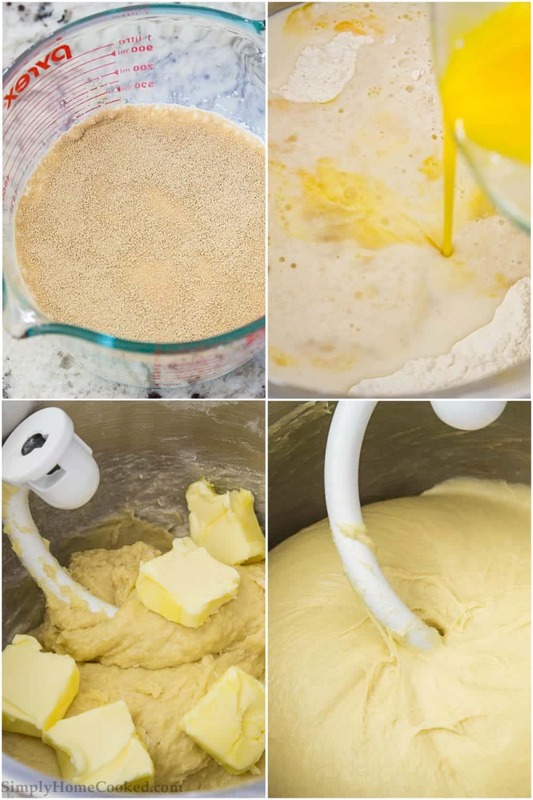 In the bowl of a mixer, combine flour, salt, and yeast mixture. Whisk eggs and vanilla, then add them to the bowl. Also, add softened butter and combine using the hook attachment until the dough forms into a ball. Transfer the dough onto a floured surface and knead it. Place the brioche bread dough into a greased bowl and let it rise covered until it doubles in size, about 1 hour. After the brioche dough is done rising, divide it into 6 equal pieces. Using three of those pieces create a braid and place it into a greased loaf pan. Then let it rise covered for 1 hour. Brush with egg wash and bake for 40 minutes at 350 degrees F.
If you prefer not to do the braiding method, you can just roll three brioche buns and place them side by side into the loaf pan. Brioche bun recipe: Perfect for homemade burgers! This fluffy, buttery, yeast bread goes perfectly with salted butter. In a glass bowl or large measuring cup, combine milk, 1/4 cup sugar, and yeast. Leave this mixture in a warm place for about 20 minutes. Once it becomes frothy, give it a quick stir. Place the flour (start with 7 cups) and salt, and 3/4 cup sugar in the bowl of a stand mixer. Then pour the warm yeast mixture into the bowl. Crack the eggs into a bowl and give them a quick whisk just to loosen them. Add the beaten eggs and vanilla extract to the rest of the ingredients in the mixer bowl. Using the hook attachment, beat the dough until it begins to come together. Cut the butter into slices and add 1/2 cup. Continue kneading the dough until the butter is well incorporated. Add the remaining 1/2 cup slices butter and kneed the dough on high speed for about 10 minutes or until the dough is smooth and elastic. If the dough isn't coming together well enough, add the remaining 1/4 cup flour. Place the dough onto a light floured surface and round it into a ball. Place it into a bowl greased with oil (lightly grease the top of the dough as well). Then cover with a cheesecloth and leave in a warm place for 1 hour or until it doubles in size. Once the dough has proofed, divide it into two equal pieces. These two halves will make two loaves of bread. Starting with one of the two dough halves, divide that half into three equal balls. Roll those three balls into long stands. Spray a loaf pan with nonstick spray and place the braided dough into the pan. Cover with a cheesecloth and let it proof in a warm place for 1 hour or until it doubles in size. Once the dough has proofed, brush with egg wash (1 beaten egg + 1 tsp water) . Bake at 350 degrees Fahrenheit for 40 minutes until golden brown. PS: This brioche bread recipe has been adjusted, here are our old images. can the bread braids be baked without putting into loaf pans? Hi Deborah, the brioche bread can be baked on a baking sheet instead of a loaf pan. It just might not be as tall. This recipe is great on the first day, but not on the second. Too buttery! 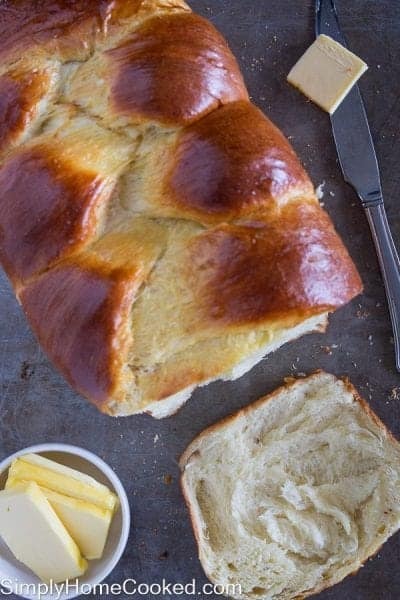 I’ve tried other brioche recipes with less butter and it was much better the next day. Probably because too much butter it’s not as fluffy or soft next day. Of course it didn’t go to waiste my son just microwaved it for few seconds. Love your other recipes, but will not repeat this one.